With adjustable tripod legs, folding design and full-back ComfortMAX seat, the G100 chair is perfect for ground blind applications in any season. The G100 gives you a combination of comfort, quiet, and excellent positioning — the height adjustment can be made from 13 to 18 inches. No matter what blind you are in, you will be in a good position to see the game and take your best shot. It’s also pre-drilled to hold the G101 optional shooting stick or can match up with the optional M600 bow-holder. 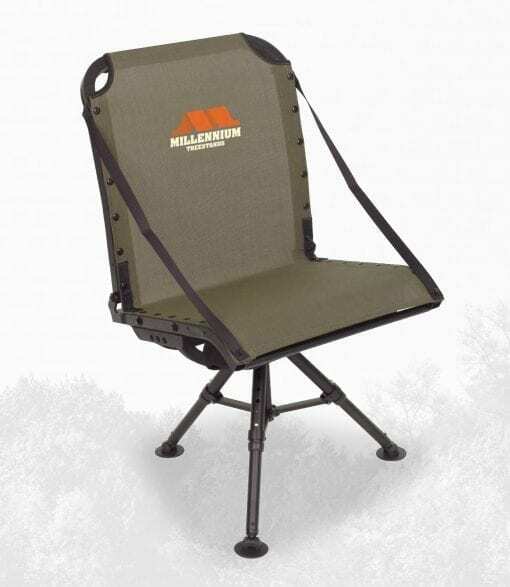 With Millennium’s sturdy and durable aluminum construction and long-lasting, super comfortable ComfortMAX seat fabric, this could be the last ground blind chair you’ll ever need. 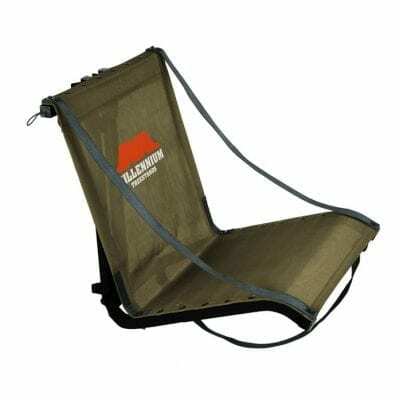 This lightweight, packable, exceptionally comfortable design is perfect for deer hunting, turkey hunting, dove hunting or any other outdoor activity. With adjustable tripod legs, folding design and full-back ComfortMAX seat, the G100 chair is perfect for ground blind applications in any season. The G100 gives you a combination of comfort, quiet, and excellent positioning — the height adjustment can be made from 13 to 18 inches. No matter what blind you are in, you will be in a good position to see the game and take your best shot. It’s also pre-drilled to hold the G101 optional shooting stick or can match up with the optional M600 bow-holder. With Millennium’s sturdy and durable aluminum construction and long-lasting, super comfortable ComfortMAX seat fabric, this could be the last ground blind chair you’ll ever need. 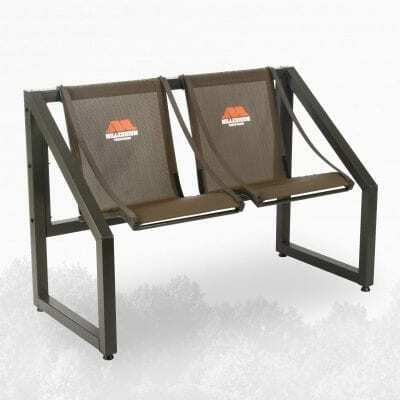 This lightweight, packable, exceptionally comfortable design is perfect for deer hunting, turkey hunting, dove hunting or any other outdoor activity.